All Rolex watches have two engravings on the metal of its case. These engravings are what are known as the reference number and the serial number. The serial number can be found on the 6 o’clock side of the case of the watch, but from 2010, Rolex started engraving the serial number of their watches on the rehaut instead, which is the inner metal ring below the crystal. During a period, though, some Rolex watches got the serial number engraved both on the case and on the rehaut, but on modern Rolex watches, the serial number is only engraved on the rehaut. Then, we have the second engraving, which is what we’ll be focusing on in this article, and that is the Rolex reference number. The reference number is engraved on the 12 o’clock side of the case. 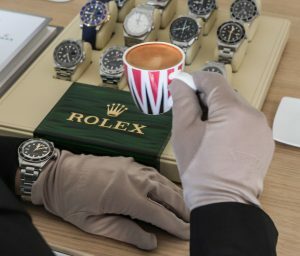 Now, the serial number and reference number of a Rolex watch aren’t engraved by accident, but instead, they actually have several important purposes. The reference number of a Rolex watch describes more about what watch it is, which model, and what elements it is made up of. The serial number, on the other hand, can tell you when the watch was manufactured, and also work as a unique identification number for your watch. Of course, if you know nothing about Rolex reference numbers or serial numbers, the numbers won’t tell you anything. To most people, these numbers mean nothing, but they actually give quite a lot of information, and each digit represents a defining characteristic about the watch. In the middle of the 1950’s, Rolex reached 999,999 which caused them to start over at 100,000. During this transition time (transition years), Rolex also stamped the date of the watch on the inside of the casebook, and they did so by using Roman numbers for each quarter. Since Rolex has used reference numbers for a long time, the way they are used and how long the number is has evolved over the years. The Rolex reference numbers can vary between 4 to 6 digits in length. Now, what each of the numbers means, and what each digit position in the number tells us, we’ll go into detail further on, but let’s go over them quickly to begin with. The first two or three digits in the Rolex reference number gives you information about which model it is. 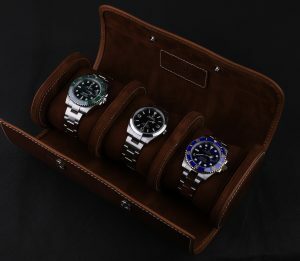 This is a huge help since by only knowing the two or three first digits that each model is represented by, you can instantly tell which model is being spoken about from the Rolex reference number. When we say ”the model”, it is the most defining characteristics of that particular model type, which includes its size and the type of movement used in the watch. If the Rolex reference number is made up of five digits, the 4th digit will refer to the style of the bezel on that watch. Note that there are some exceptions to this. The last number in the reference number tells you which material the watch is made from. When it comes to metal, it may sound unnecessary since you can clearly see what material a watch is made of, however, that’s not always the case. In fact, when Rolex uses things like a mixture of white gold and stainless steel, it can be mistaken to only be stainless steel, or when Rolex uses their Rolesium metal, which is a mixture of titanium and Stainless steel. In especially these cases, it gets much easier to identify which materials a Rolex watch is actually made in, since the eye may be tricked sometimes. Furthermore, the Rolex reference is also great for identifying whether or not the watch is original or if certain parts have been changed. By looking at the Rolex reference number, you can identify which elements the watch should have, and then inspect the watch to confirm that. When talking about serial numbers, Rolex began using a letter as the first digit of their serial numbers in 1987 to signify the year of production for that specific watch. The Rolex reference number can’t be used to identify which year your watch was made, and that’s when the serial number comes in handy. 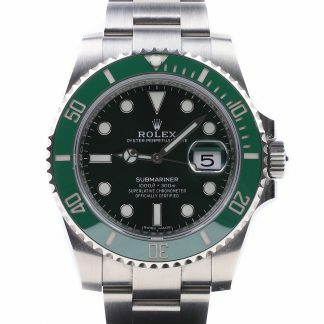 Rolex reference numbers can actually be used to distinguish counterfeit Rolex watches in some cases. 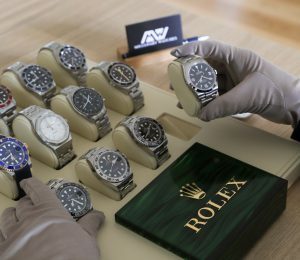 The fact is that many counterfeit Rolex doesn’t even have the reference number engraved, and if they do, they tend to have a completely made up imaginary number. 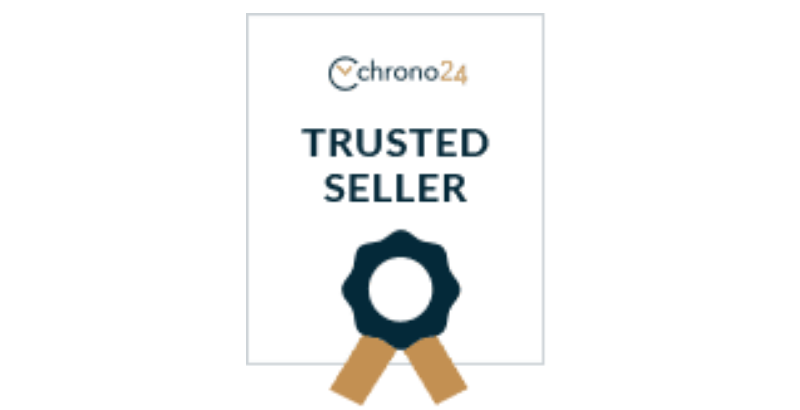 If the case is that the counterfeit watch has the real reference number, you’ll still be able to tell a real from a fake by looking at the quality of the engraving. Fake watch engravings tend to have an acid etched look while the real watches have a diamond engraving made to perfection. On Rolex watches that were made before 1980’s, you’ll find a four digit reference number, but on the flip side, on Rolex models released between 1980’s and 2000, you’ll find a 5 digit number. The first two or three digits of the reference number can be used to identify the model of the watch, and we’ll present a list further on with the first numbers in the Rolex reference number and what model it alludes to. The modern Rolex watches released from 2000 and onwards will have a 6 digit reference number with a number “1” prefacing the 5 digit reference number. The numeric preface may change as more models are being released. The 6th digit refers to the bracelet type. 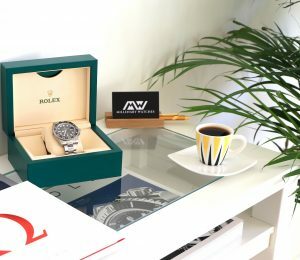 Now, you’re aware of the fact that Rolex reference numbers can give us quite a lot of information about the different Rolex models, but what exactly is it they tell us? Well, each digit in the Rolex reference number actually refers to a particular element of the watch, and the different numbers tell us different things about the watch. On traditional Rolex models, the first three digits in the reference number tells us what model the watch is. The modern Rolex models after 2004-2006 have an extra ”1” which is added to the beginning of the reference number which tells us that it is the modern version of an existing model. 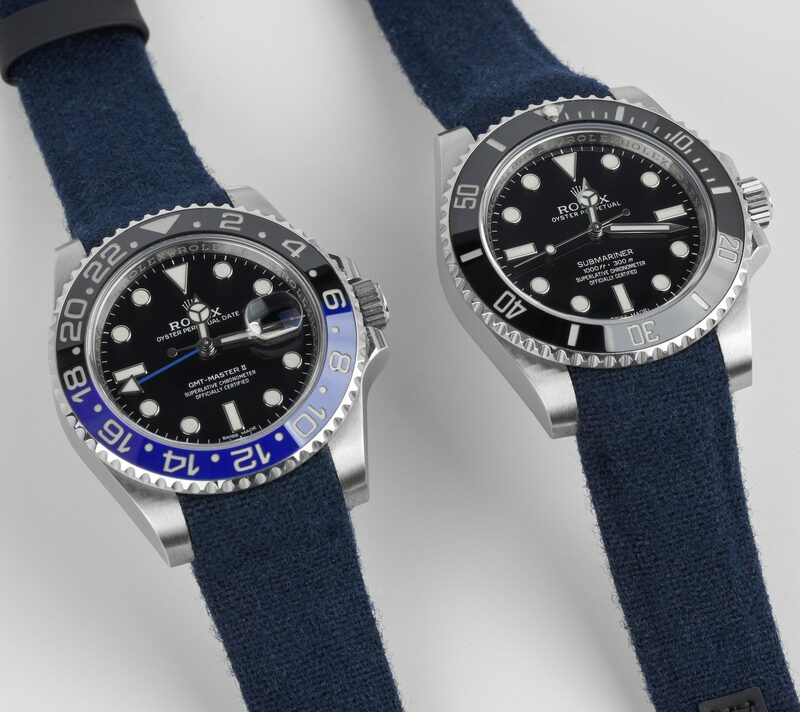 For example, while the older version no-date Submariner has the reference number 14060, the new ceramic no-date submariner has the reference number 114060, allowing us to differentiate the modern from the older model. The sixth digit in the reference number, which is the last number of modern Rolex watches, is the digit that refers to the watch’s metal. For watches with a reference number of fewer than 6 digits, the last number in the reference number tells you what metal type it is made of. The 5th digit in the Rolex reference number tells us what type of bezel the watch has. 6204: First Submariner without crown guards and 37mm case. 6205: Early Submariner without crown guards and 37mm case. 6200: Early Submariner without crown guards and famous for its’ 3-6-9 “Explorer dial”. 6536: Early Submariner with bigger crown and 38mm case. 6536/1: Early Submariner with a small crown and known for its appearance in the first James Bond movie. 6538: Early Submariner that can be seen both with the 3-6-9 dial and an ordinary in its 38mm case. A/6538: Modded 6538 and the first MilSub made for Special Boat Squadron in 21 copies, was never sold on the civilian market. 5508: Early Submariner with no crown guards and 37mm case. 5510: Early Submariner with a 38mm case without crown guards. 5512: A new case with crown guards and 40mm, COSC-certified written text on the dial. 5513: The same as 5512 but not COSC-certified text on the dial. 5517: MilSub made for the British military known for its sword-hands. Also known as 5513/17. 5514: The same as 5513 but moded with a gas escape valve for professional Comex divers. 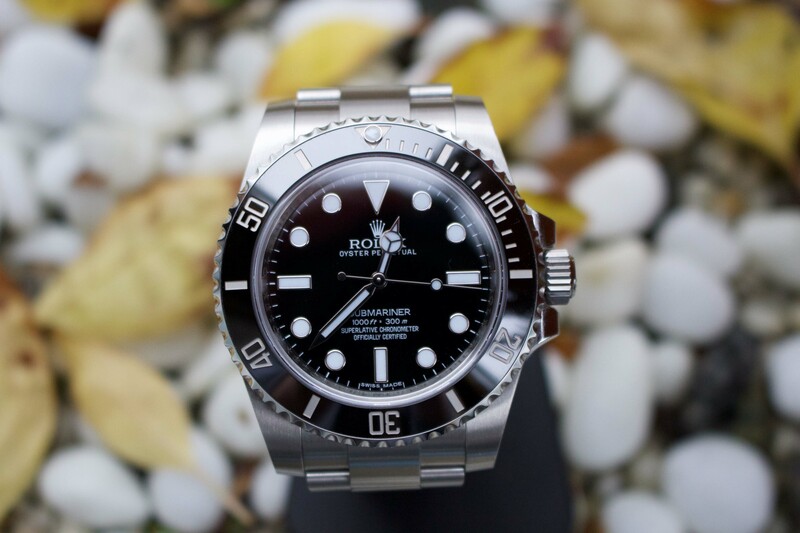 1680: First Submariner with date function. Can be seen with Submariner text written in red and white. 16803: Two-Tone Submariner with blue and black dial and bezel. 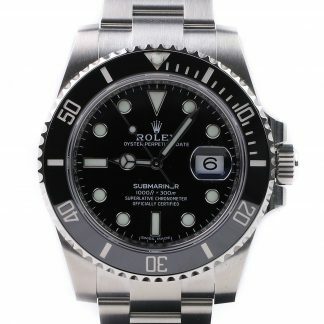 16800: A transitional model of the Submariner. First dial with white gold index. 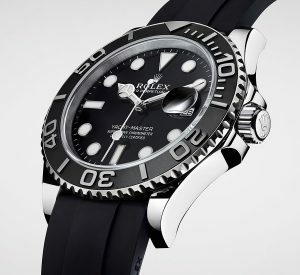 16610: Finally fully updated Submariner from 1680. A case with Rehaut but most without. 16613: Two-Tone Submariner with blue and black dial and bezel. A case with Rehaut but most without. 16618: Solid yellow gold Submariner. A case with Rehaut but most without. 14060: No date and updated Submariner. 14060M: Updated submariner and case with Rehaut but most without. 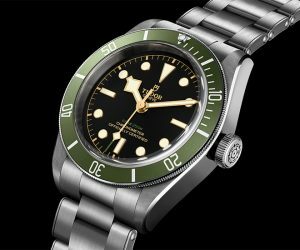 16610LV: Green bezel and Submariners’ 50 years anniversary model. 116610LN: Ceramic bezel with a new case. Maxi hands and dial. 116610LV: Green ceramic bezel and a new case. Maxi hands and dial. 116613: Two-Tone ceramic Submariner with both black and blue dial and bezel. Maxi hands and dial. 116618LB: Solid yellow gold Submariner with blue and black dial and bezel. Maxi hands and dial. Maxi hands and dial. 116619LB: Solid white gold Submariner with blue dial and bezel. 6542/8: Yellow gold GMT Master. No crown guards. 1675: Second GMT Master with both Pepsi and all black bezel. First case with crown guards. 16753: Two-Tone GMT Master with rootbeer bezel. 16758: All yellow gold GMT Master. 16750: First GMT Master with quickset movement. Pepsi and black bezel. 16760: GMT Master is also known as “Fat Lady” for its’ bigger case. Coke insert ( black and red ). 16700: Black, Pepsi ( blue and red ) and Coke ( black and red ) insert. 16710: Black, Pepsi ( blue and red ) and Coke ( black and red ) insert. First GMT Master II. 16713: Two-Tone GMT Master II in both rootbeer and black insert. 116710LN: Updated GMT Master II with ceramic bezel, maxi dial and hands. This reference had black bezel. 116710BLNR: Updated GMT Master II with ceramic bezel, maxi dial and hands with Batman ( blue and black ) ceramic bezel. 116713LN: Two-Tone GMT Master II with a black insert with ceramic bezel, maxi dial and hands. 116718LV: Solid gold GMT Master celebrating 50 years of the GMT Master with green bezel and dial. 116719BLRO: White gold GMT Master II with Pepsi ceramic bezel ( blue and red ). 1400: Updated version with sapphire crystal and a new caliber 3000 movement. 4365: Made in the 1940s. The first Rolex Air-King, which measured 34 millimeters. 4925: The first Oyster watch to feature the iconic Air-King moniker on the dial. 5502: Acrylic crystal. 1530 automatic movement. 5520: Silver dial, automatic movement. Gold case. 6500: Oyster Perpetual and chronometer rated. This Rolex reference was never branded an Air-King. 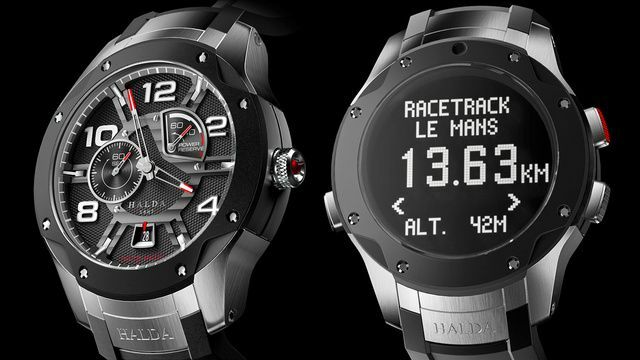 14000M: Automatic movement, scratch-resistant sapphire crystal, waterproof screw-down crown. Case in 34mm. 114234: Introduced in In 2007. The last model of the Air-king family (of the past generation since the model was revived in 2016). It features a white gold bezel and is the only Air-king with such element. 114210: 34mm case, Silver Luminous with Arabic hour markers at 3, 6, 9. Automatic movement, scratch-resistant sapphire crystal. Waterproof. 5700: Automatic movement, acrylic crystal, waterproof screw-down crown. Blue, linen, or silver dial. 5506: Automatic movement, acrylic crystal. Yellow gold plated. 5501: Automatic 1520 movement. Acrylic crystal, waterproof. Screw-down crown. Oyster case. Introduced 1958. 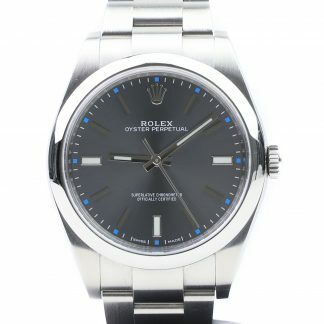 5500: It is technically an Air-King, but Rolex also offered the ref. 5500 with an Explorer dial for about 10 years. 5504: Stainless steel. The 5504 case was used as both the Air-King as well as the Explorer. Featuring a 1530 calibre movement. 114200: Automatic movement, scratch-resistant sapphire crystal, waterproof screw-down crown. 3130 movement 34mm. 6552: Built upon the 34mm Oyster Case. 1002: The 1002 is often quoted as an Air-King model, but it never was – it was only an Oyster perpetual. 1401: Stainless Steel. Water Resistant 100 metres. 5701: A less-common model than most Air-King references. 17000: Among the first examples of the OysterQuartz watches. Made in early 1978. Tritium luminous. Caliber 5035 with date indication. 17013: Two-tone version with 18k yellow gold and steel. 100m water-resistant.Rolex caliber 5035. 17014: Quickset date, scratch resistant sapphire crystal. 18k white gold fluted bezel. Datejust model. 19018: Full yellow gold. Available with different dials. Day-Date model. 19019: Day-Date model. Made in 18k white gold. 36 mm. 19028: Day-Date model. Pyramid design details. Pyramid motif on both the bezel and the center links of the President bracelet. Unique and rare version of the OysterQuartz. Full 18k yellow gold. 19038: A middle way model between the 19028 and the 19068. Pyramid motif on the bezel and centre links of the president bracelet as well as twelve diamonds mounted from the factory. The 1903 is just like the 19028 other than that it has diamonds on the dial. 19048: It is a 19018 but has a different reference number since it has a bezel fitted with 44 brilliant-cut diamonds. 19049: Full 18k white gold. Day-Date model. It is just like the 19019, but has a different reference number since it has a bezel fitted with 44 brilliant-cut diamonds. 19058: Extremely rare version of the Oysterquartz. One of rarest versions. Fitted with a bezel with 44 curved baguette-cut diamonds, rubies or sapphires. 19068: Day-Date model. Equipped with a 44 brilliant-cut diamond bezel. 19078: The most rare Oysterquartz models there is. Fitted with a rainbow gem-set bezel with 44 curved baguette-cut gems in rainbow colors, and a rainbow gem dial. Equipped with a 19028 pyramid bracelet. Day-Date model. Full 18k yellow gold. 19148: This model is just like the 19048 but features a bracelet with a twelve brilliant-cut diamonds per center link. The watch was crusted with 44 brilliant-cut diamonds on the bezel, 8 brilliant-cut diamonds on the case and 300 brilliant-cut diamonds on the bracelet. Day-date model. 19168: Featuring an octopus bracelet. Normally production year 1987. Baguette and brilliant cut stones on the bracelet and 44 curved baguette-cut stones on the bezel Full 18k yellow gold. 19149: Day-Date model. Full 18k white gold. 16622: Automatic Rolex cal. 3135 movement, Quickset, scratch-resistant sapphire crystal, waterproof screw-down crown. Platinum rotatable bezel. Made in Rolesium. 16628: Full 18K yellow gold. Automatic Rolex Caliber 3135 movement with date function. Movement with 31 jewels and quickset function. scratch-resistant sapphire crystal, waterproof screw-down crown. Rotatable bezel. 68623: 35mm. Two-tone with 18k yellow gold and stainless steel. Discontinued in 1999. 68628: Full 18k yellow gold. 35mm case. Rotating bezel. 168622: 35mm. Platinum Uni-directional rotating bezel. Platinum dial. Rolex Calibre 2235 automatic movement. 48-hour power reserve. 168623: Two-tone 18K contrasted by stainless steel. 100 meters water resistance. 168628: Full 18k yellow gold. 100 meters waterproof. Automatic movement, scratch-resistant sapphire crystal, waterproof, screw-down crown. 169623: Two-tone. 18k gold and stainless steel. 169622: Platinum and steel. unidirectional rotating bezel. 166233: Mechanical automatic movement. Rotatable 18k yellow gold bezel. 18k yellow gold and stainless steel case and bracelet. 116689: White Dial with a body in white gold and platinum. Oyster-bracelet in solid white gold. 116688: Yacht-Master II in yellow gold with a blue bezel. 69628: 29mm ladies Yacht-Master in yellow gold with a blue and white dial. 69623: 29mm ladies Yacht-aster in two-tone ( yellow gold and steel ). 116622: 40mm Yacht-Master in steel and platinum bezel. 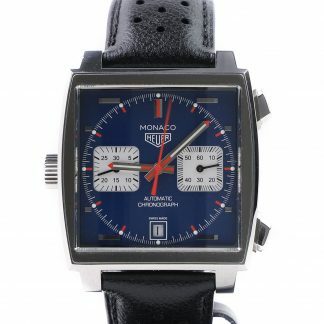 Available with blue or white dial. 268621: Two Tone Yacht-Master in rosegold and steel in 37mm. Available with a brown/black dial. 116681: Yacht-Master II in two-tone ( Yellow gold and stainless steel ) with a blue bezel. 268655: 37mm rose gold Yacht-Master with an Oysterflex rubber strap. 268622: 37mm Yacht-Master in stainless steel and platinum bezel. Known for the blue second hand. 1655: Explorer II nicknamed ”Steve McQueen”. 24-hour bezel, GMT hand, waterproof screw-down crown, acrylic crystal. 16570: Explorer II model. Black or white ”polar” dial. 24-hour bezel. GMT hand. Stainless steel. 16570: Black and white dial. A mistake in the production made the early series of the white dials more cream coloured. 114270: Explorer I model. 36mm. 100m water resistance. 3, 6, 9 Arabic numerals. 14270: Explorer I model. no-date. 36mm. 3, 6, 9 Arabic numerals. caliber 3000 movement. 6610: Explorer I model. 3, 6, 9 indexes with tritium lime. One of the early Explorer models. 6350: The first watch to carry the Explorer name on the dial was the reference 6350. Launched in 1953. 6298: Prototype watch used by explorers in the early 1950s, eventually leading to the development of the Explorer line. Called ‘Big Bubblebacks’. 6150: Pre-explorer model. The 6150 is one of the rarest and earliest examples of the “Explorer” model which doesn’t carry the Explorer name on the dial. 6098: Big bubble back watch. The successor of the 5020. 5504: 3, 6, 9 Arabic numerals. 1016: 3, 6, 9 Arabic numerals in tritium lume. 5506: Dating back to mid 1950’s. The first use of the Rolex 1530 automatic movement. Referred to as Rolex dress Explorers. Dressier versos of the then 1016 Explorer. Available in two-tone or gold-filled cases. 6299: The reference 6299 as opposed to the standard 6298 refers to the watch being Yellow gold/stainless steel as opposed to the ref 6298 being only stainless steel. 5501: Fluted gold bezel. ”Precision” on the dial and the text ”Explorer”. 1019: One of the most sought-after vintage Milgauss. 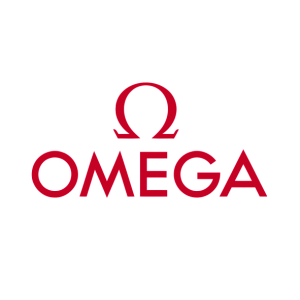 Without luminous dots as requested by CERN who needed watch which wouldn’t interfere with their experiments since the tritium used as the luminous material emitted radioactive ”signals”. Because of this non-lune version, the 1019 Milgauss has become one of the more desirable vintage Milgauss models. 6541: Similar to an early Submariner in its case design. 25-jewel, self-winding movement. Featuring a black rotating bezel. lightning bolt-shaped seconds hand. 116400GV: The anniversary Milgauss edition “glass verte” with green sapphire glass. 116400: The first model in Rolex’s revived Milgauss collection which launched in 2007 after nearly two decades of absence. 1665: Can be seen with various types of dials. This reference features double red print on dial. On the inside of the clasp hinge, you’ll find what is known as the clasp/bracelet code. The clasp code on Rolex watches can be used to determine the year and month of the year when it was made. Have in mind tohough, that it’s not completely Rolex watches have bracelets that have a different date (thus were manufactured at a different time) than the watch’s case. The clasp code consists of one or two letters which are then followed by a number. The letter in the code represents the year of which the bracelet was made, and the digits refer to the month it was made. The letter S gives information that the watch has a service bracelet. 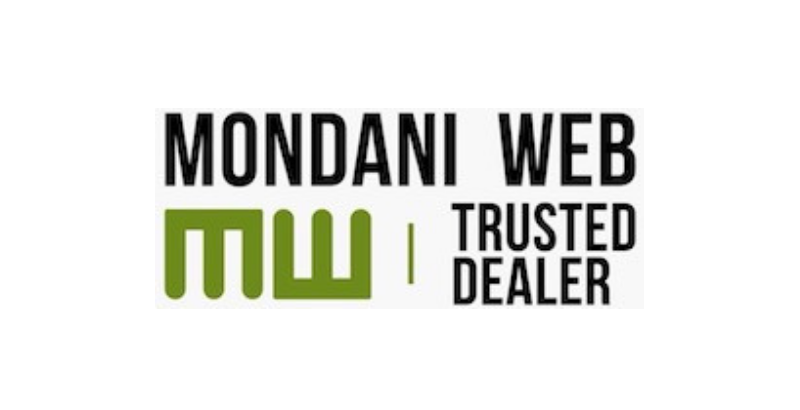 We hope that you found this Rolex Serial number resource helpful! 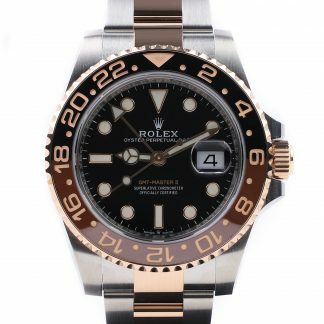 Don’t forget to take a look at our collection of Rolex watches available and don’t hesitate to email us at hello@millenarywatches.com and we’ll gladly answer any questions you may have about Rolex serial numbers or if you just want to chat. We have gone to great lengths to confirm and check so that the information provided here is correct, but if you see any incorrect information, kindly let us know and we will fix it.